MLB The Show 17 update 1.11 is now available for download. The latest update comes with fixes and improvements to the game. The has fixed the release point for several pitchers including Jordan Walden, Chris Devenski, Michael Fulmer, Huston Street. In addition, the left handed pitchers will use quicker throws more often when fielding weak ground balls or bunts down the third base line. On me Specific Gamep ay Improvements and Stabilizations. Fixed the release point for several pitchers including Jordan Walden, Chris Devenski, Michael Fulmer, Huston Street. 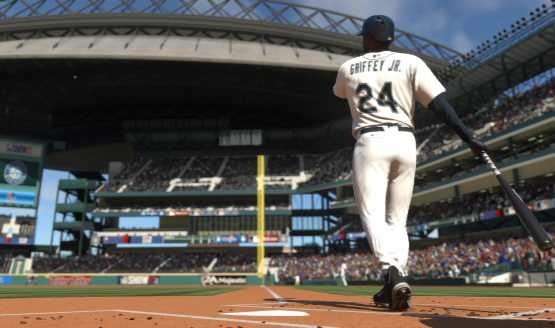 MLB The Show 17 update 1.11 fixed the countdown timer not appearing for Daily Missions. Improved catcher and pitcher animation efficiency when handling balls in the dirt around home plate. MLB The Show 17 update 1.11 fixed an issue that would allow the visiting team to bring in a relief pitcher, without the starting pitcher facing a batter. Check your game update and download MLB The Show 17 update 1.11 for PS4.